JPMorgan Chase CEO Jamie Dimon said the bank needed to "accept responsibility" for its legal issues. 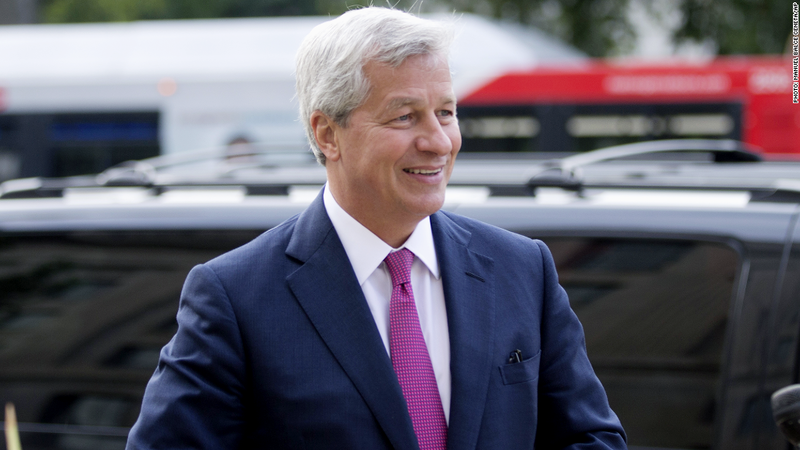 Is JPMorgan Chase finally putting its legal problems behind it? The bank earned $5.3 billion, or $1.30 per share, in the final three months of 2013. Revenue fell 1% to $24.1 billion. Excluding certain one-time items, JPMorgan (JPM) said it earned $1.40 per share in the quarter. That topped analysts' expectations for $1.35 per share. Revenue beat expectations as well. Shares of JPMorgan, the largest bank by assets, were up about 1% in early trading. JPMorgan took a charge of $1.1 billion in the fourth quarter to resolve some of its biggest legal headaches. The charge was partially offset by profits from the sale of a large portion of JPMorgan's investment in Visa (V), as well as the sale of the company's building at One Chase Manhattan Plaza. CEO Jamie Dimon said in a statement that the bank is pleased "to have put some significant issues behind us this quarter," adding that "it was in the best interests of our company and shareholders for us to accept responsibility, resolve these issues and move forward." The results come less than two weeks after JPMorgan agreed to pay $2.6 billion to settle lawsuits stemming from its relationship with disgraced financier Bernard Madoff. In November, JPMorgan paid the Justice Department a record $13 billion to resolve allegations linked to the sale of risky mortgage securities during the housing bubble. That came on the heels of a $4.5 billion settlement with institutional investors who suffered losses on mortgage securities purchased from JP Morgan in the run-up to the financial crisis. Dimon said in October that the bank has set aside $23 billion to cover its various legal costs. 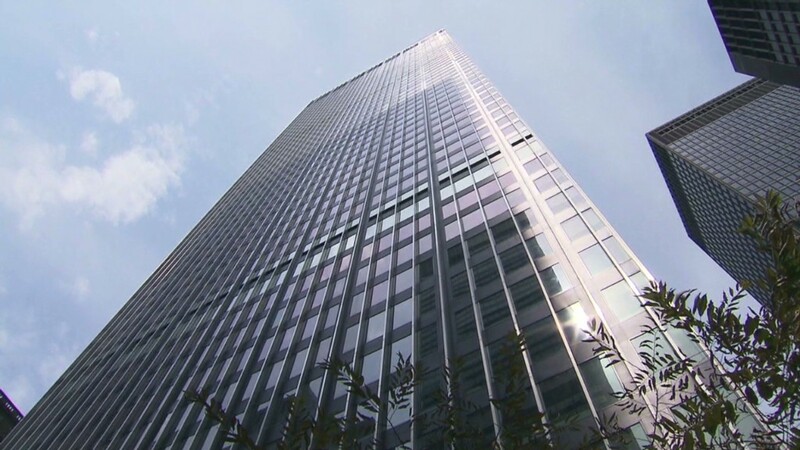 It's difficult to predict, but JPMorgan does not currently expect to set aside any additional money for legal costs, according to JPMorgan chief financial officer Marianne Lake. "We do believe we have our reserves aligned to the issues as we know them," she said. Economy on the mend: Dimon said during a conference call after the earnings release that he was optimistic about the outlook for the U.S. economy. "We didn't use the words cautiously optimistic," he added. Dimon also downplayed the impact of the Federal Reserve's plan to gradually reduce, or taper, its economic stimulus measures. "If the U.S. economy is strong and people are adding jobs ... then tapering itself is not the critical thing," he said. The economy can handle higher interest rates and the Fed's decision to reduce its bond buying is "a good thing," he added. While the banking industry is chafing under a new set of rules, Dimon said the global financial system is "dramatically stronger" thanks to regulatory changes put in place since the 2008 financial crisis. Mortgage slowdown: JPMorgan said revenue in its mortgage banking business fell during the fourth quarter as loan volume dropped. Still, net income in the mortgage business was up from a year ago thanks to a $782 million benefit from loan loss provisions. Dimon said the bank has been "forced" to reduce the amount of money it sets aside for mortgage losses, due to the "enormous improvement in credit quality." Wells Fargo (WFC), which also released its fourth-quarter results Tuesday morning, reported a big drop in mortgage activity as well. Net income from JPMorgan's corporate and investment banking activities plunged 57%from a year ago. The unit reported a $1.5 billion loss on a credit adjustment tied to certain derivatives and over-the-counter securities. Lake said the charge was a one-time event. For the full year, JPMorgan earned $17.9 billion, or $4.35 per share. That's down from $21.3 billion, or $5.20 per share, in all of 2012. Bank stocks are hot. It appears that investors are already forgiving JPMorgan for its sins from the financial crisis. The stock jumped 33% in 2013. Bank stocks have done extremely well lately thanks to continued improvement in the economy, which should lead to a pickup in lending and higher interest rates. The financial sector is expected to post the biggest profit growth in the quarter, according to FactSet. But new regulations and a lull in certain markets have undermined banks' revenue growth, particularly in fixed-income, currency and commodity trading. Investors are hoping to get more clarity about the health of the nation's largest financial institutions. All six of the big banks are due to report their latest results. Bank of America (BAC), Citigroup (C), Goldman Sachs (GS) and Morgan Stanley (MS) are on tap to release their earnings later this week.